Uses solar energy to power its sonic repeller. Drives moles and other burrowing animals away by emitting low frequency ground vibrations every 15 to 20 seconds. Coverage up to 7500sq ft. Solar Powered Mole Repeller is rated 2.8 out of 5 by 5. Rated 5 out of 5 by BPparrot from so easy to use Excellent product started working straight away as soon as unpa ked. Rated 2 out of 5 by zebbie from solar mole repeller ! 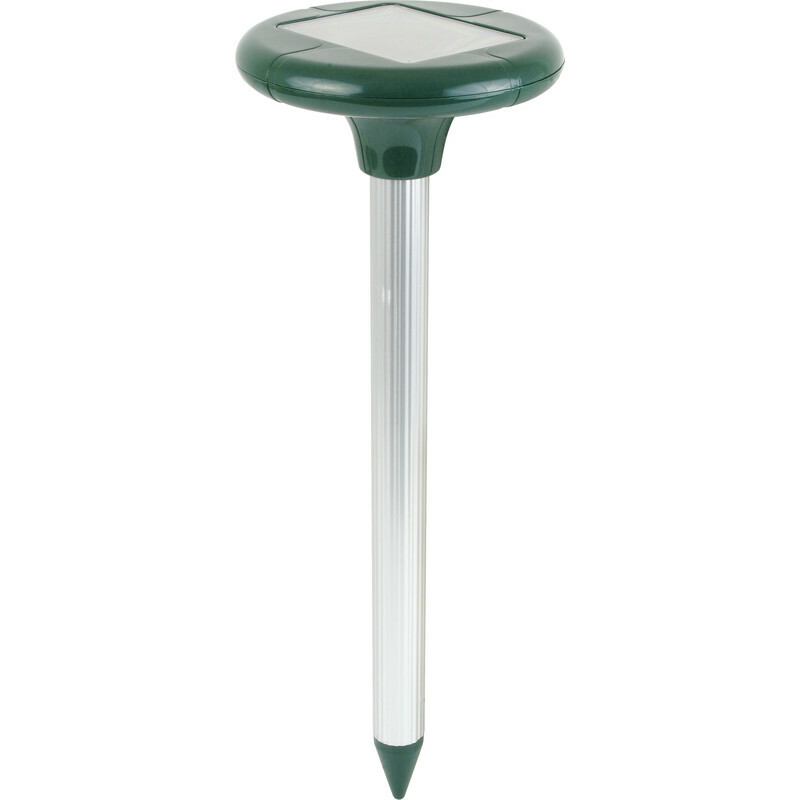 I purchesed three of these solar mole repellers ...but unfortunately they don't seem to be working very well " today the mole even left his mark by the solar repeller itself "....so needs to say not to impressed !! !